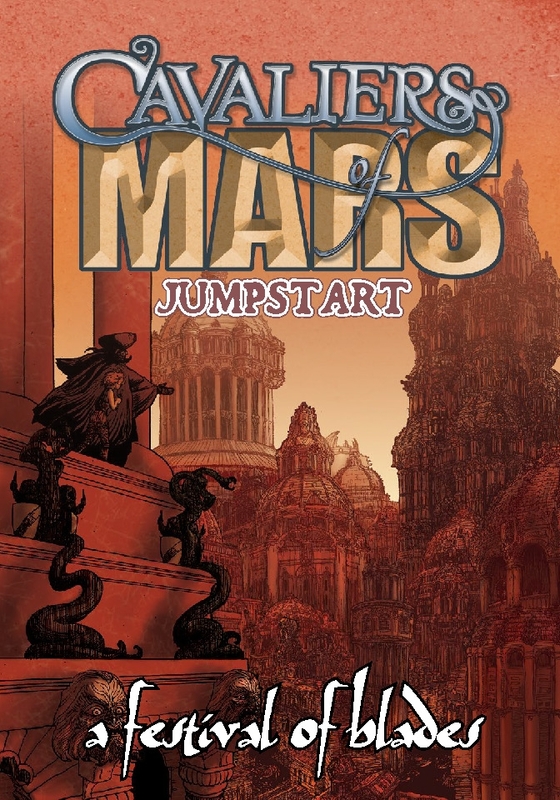 We’ve posted A Festival of Blades, the new jumpstart for Cavaliers of Mars, at DriveThruRPG! 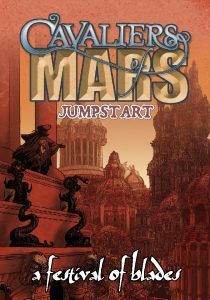 This sample booklet includes a full adventure, four player characters, and the latest DEIMOS rules. The all-new DEIMOS system, featuring simple resolution and a dynamic fencing engine. A revised adventure, with maps and new antagonists. A new stunt die system, allowing players to change the scene to their advantage in combat. Combat maneuvers that add some lightweight tactical options. Numerous system changes based on player feedback.